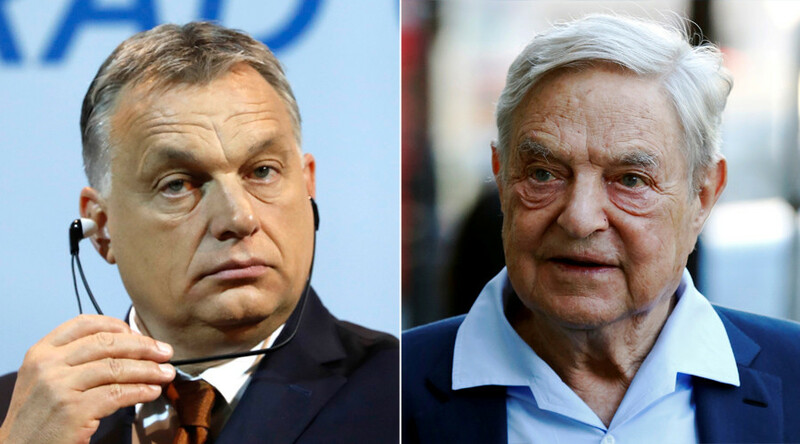 Hungarian Prime Minister Viktor Orban has hit out at George Soros and the European Union as the statesman’s war of words with the Hungarian-American billionaire continues to escalate. During a state visit to Romania Orban accused Soros of using the EU in order to create a "new, mixed, Muslimized Europe,” according to AP. The prime minister said that Soros is now more powerful in Brussels than in Washington or Tel Aviv and he argued that European institutions should fight to limit his influence, reported Hungarian newspaper Magyar Nemzet. “The European Union, the European Commission must regain independence from the Soros Empire before the billionaire finishes his program for the destruction of the continent,” Orban said in a speech at the 28th Bálványos Summer University event in southern Romania. The Hungarian stated that reforming Europe can only begin by stopping illegal migration into the EU and that Hungary’s border defenses will help with that effort. During the speech Orban also pledged that Hungary will support Poland in a row with the EU over its controversial judicial reform plans. “The inquisition offensive against Poland can never succeed because Hungary will use all legal options in the European Union to show solidarity with the Poles,” he said. ”The only network which operates in mafia ways, which is not transparent... in Hungary is the Soros network," he said. A poll in Sunday’s Magyar Nemzet revealed that 43 percent of Hungarians think Soros is a threat to Hungary. Nearly as many people, 35 percent, said this is not the case.